TESTED. Crack on the Front L speaker but does not affect performance. Sony Cube Surround Sound Speakers (SS-TS300) Center Front L Front R Surround. Condition is Used. Shipped with USPS Priority Mail. JVC Subwoofer Black SP-THG50W Wired Surround Sound Speaker 450 Watts Reflex Bass. The unit has been tested and works great. The sale is for the unit only. Condition is Used. For sale we have a good, used, tested Bose Accoustimass 4 White Subwoofer. 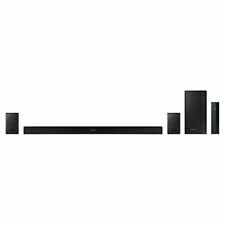 Vizio SB3820-C6 38 Inch 2.0 Home Sound Bar Audio System used. Condition used. Shipped with USPS Priority Mail. Comes with power cord. No remote. Works good and sounds good! Trending at $69.79eBay determines this price through a machine learned model of the product's sale prices within the last 90 days. Razer Leviathan 5.1 Speaker System - 60 W RMS - Wireless Speaker(s) - Black - 20 Hz - 20 kHz - 32.8 ft - Dolby Digital, Dolby Virtual Speaker, Dolby Pro Logic II - Bluetooth - Near Field Communication. 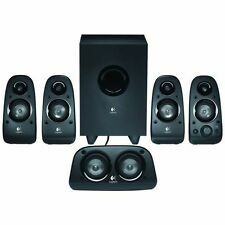 This is a 5.1 surround sound set and is a Series i. The system has been tested and works fantastic! This system is very loud and sounds great. What you see in the pictures is what is included. Redline directional speakers x3. In great working condition. Includes sub and 5 speakers, cables and two wall brackets for rear speakers. The rear speaker cables have been cut, because they were installed inside walls. The Razer Leviathan 5.1 Channel Surround Sound Bar easily fits under any desktop monitor or living room console setup. Sound System: Dolby Virtual Speaker. Sound System: Dolby Pro Logic II. Sound System: Dolby Digital. Can essentially be used with ANY 5.1 powered surround setup, but the Subwoofer requires amp, which Sony Model SS-CNP36 receiver has. (not self powered sub). From an old surround system. Has been in cardboard box in storage for years. Sony SS-WSB102 Speaker System Speaker Subwoofer . Condition is Used. Tested to be working great. Free Shipping in USA. Weights around 20 lbs. No wires included. might have some light scratches that are not easy to see. Add-On top firing speakers to make any flat top speaker Dolby Atmos and DTS:X compatible. Start with the subwoofer. It’s equipped with a 10” long throw driver, passive crossover network, and a booming frequency response of 50 to 330 Hz. Its equipped with a 10 long throw driver, passive crossover network, and a booming frequency response of 50 to 330 Hz. Polk Audio Passive Subwoofer. Model Number Monitor 6 Series 2. 3.1 Channel. Surround Sound Item Condition: Open Box: This unit is considered as Grade A item with little or no wear and tear. The unit function as new. Manufacturer Color RMS Power. 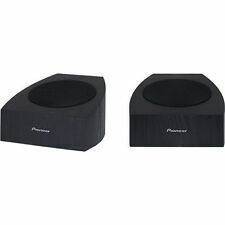 New ListingPanasonic Surround Sound Subwoofer ~ SB-HW190 ~ 3 Ohms ~ Tested & Works! This is a Panasonic Subwoofer for a surround sound system (model: SB-HW190). It is a passive subwoofer with a 3-Ohm impedance. It has a thin wire cord with a panasonic connector (to connect to a panasonic system). Infinity CC-3 Center Speaker, used but in great working condition. Light scrapes and marks here and there, can likely be buffed out. 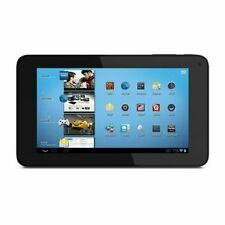 Everything is tested and is in excellent working condition without any problems that I have noticed. Trending at $71.05eBay determines this price through a machine learned model of the product's sale prices within the last 90 days. TAOTRONICS TT-SK15 PREMIUM BLUETOOTH SOUNDBAR W REMOTE -LOOK! 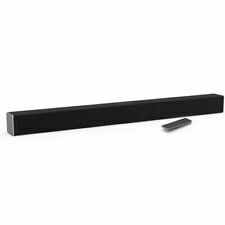 You are bidding on ONE NEW OPEN BOX TAOTRONICS TT-SK15 PREMIUM BLUETOOTH SOUNDBAR W REMOTE. This is out of the original box but has never been used and is otherwise new. It works perfectly! This is your chance to save big-time so don't miss out!! PREMIUM STEREO AUDIO: Completes your home theatre system with four full range high quality speakers and two passive radiators that bring the bass. WIRE OR WIRELESS CONNECTIONS: Modern and traditional devices work with the speaker thanks to Bluetooth or wired connections that include LINE IN, Optical, Coaxial, and RCA IN. TOUCH OR REMOTE CONTROL: Dual operation modes for convenience that feature high grade metal controls and a universal remote to adjust playback settings including volume and track selection. 4” Concentric Driver with 1/2” tweeter for accurate. Compatible with Pioneer A. Jones Speakers and most. Subwoofer enclosures are not covered by Techronics' warranty. Maximum Input Power... 80 W.
Bose Acoustimass 10 Series II Passive Subwoofer and all Speaker Wires. NO SPEAKERS included. MINT condition Sony 5.1 surround sound set. Subwoofer 5 speakers. Plenty of length speaker wire connected to subwoofer and speakers. Every component in this surround sound system works flawlessly! Inputs : Raw Cable Jacks. Product ID #: SK9Y. Simply open a Cast-enabled app and touch the Cast button to get started. You just need another device with Google Assistant built-in – like the LG ThinQ Speaker. Digital music for audiophiles with higher sampling rates and bit depth both of which can contribute to more accurate more enjoyable music listening. Nice speaker set all around. Doing this lets us also keep perfectly good products from being wasted in a landfill. The speakers work great! WHat you see is what you get. SEE PHOTOS. Well, we are human and can make mistakes. Our industry is closely regulated and monitored. That should reassure you. There you will be able to print a pre-paid label. No other speakers included. No other parts, cables or accessories included. PATIO, LAWN & GARDEN. Model VIZIO 38” 2.0 Sound Bar. Bluetooth features let you stream audio from all your devices. POOL & SPA. Full-range drivers paired with deep bass modules produce room-filling sound. Trending at $69.24eBay determines this price through a machine learned model of the product's sale prices within the last 90 days. 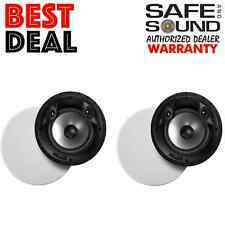 RCA RT2770 Surround Sound Theater Speaker System - 2 Rear, 1 Center, 1 Subwoofer. Part of 5.1 Dolby Surround System. Pioneer Elite VSX-49 A/V Stereo Receiver Dolby 5.1 Surround 100W/Channel RemCtrl. Sony TA-AV521 AM/FM Stereo Amplifier/Receiver, Dolby Pro Logic, 135Watts/Channel. The 2000 watts output brings you an extraordinary surround sound experience. PHD-610 hybrid design allows you to easily hook up with any reciever. Sony Passive Subwoofer. Size 15.5 in tall X 5.5 in wide X 14.5 in deep. Pair this LG sound bar with any Bluetooth-compatible device for effortless music streaming. 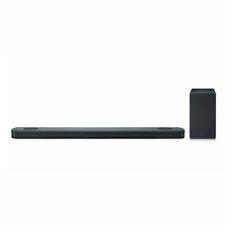 LG - 5.1.2-Channel Hi-Res Audio Sound Bar with Wireless Subwoofer and Dolby Atmos Technology - Black. LG 5.1.2 Channel Hi-Res Audio Sound Bar with Dolby Atmos (Sound Bar & Subwoofer). A used Sony subwoofer in very good condition. 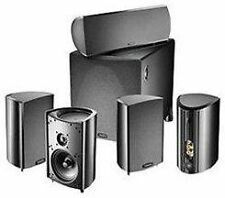 【NEW】Olin Ross OR6050 5.1 Home Theater 1000W Speaker System w Passive Subwoofer! Panasonic Surround Sound Subwoofer ~ SB-HW190 ~ 3 Ohms ~ Tested & Works!